These pet bandanas and bow ties are made from 100% cotton flannel. 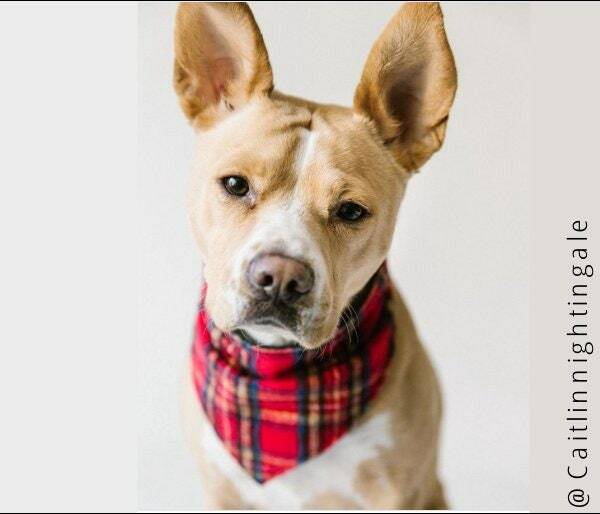 Add a matching infinity scarf for you for only 15.00! 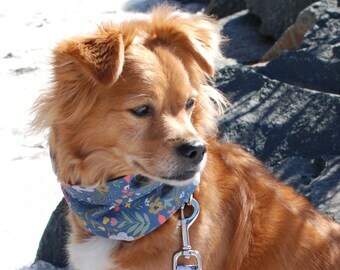 The bandanas are lined with a coordinating solid color, and is secured with a 4" velcro enclosure. This option comes with a clip that is secured onto the back of the bow, allowing you to clip the bow onto the shirt of a child's neckline or a hair clip to the bow wherever you would like in your child or pup's hair. 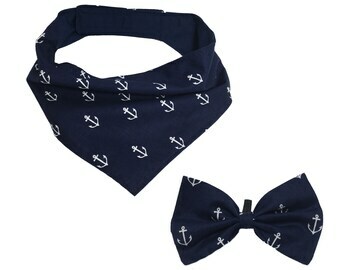 These bow ties come in X-Small, Small, or Medium. The fabric is washed and dried before designing these products. Since the fabric is cotton, please use caution when washing your coat. For best results, use cold water and mild detergent. Looked wonderful on my Christmas card!! Love this! 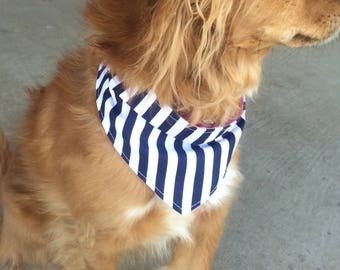 Bought a set of 3 for me and my dog buddies and they are wonderful! Great edges and fabric! Definitely recommend!!! 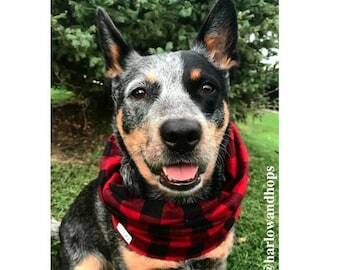 Absolutely love this bandana for my pup! The quality is wonderful and I really like the velcro - much easier than tying yourself. You can tell Rachael, the shop owner, puts a lot of love into this business. Will definitely be ordering from her again and telling my friends about this shop! 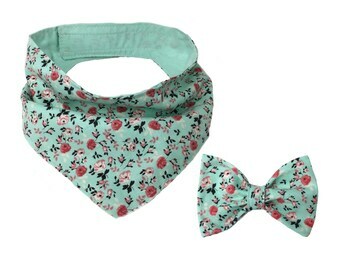 It looks super cute on my little one - he loves it. It arrived super quick as well. Very happy with the overall purchase experience. I recommend this seller.